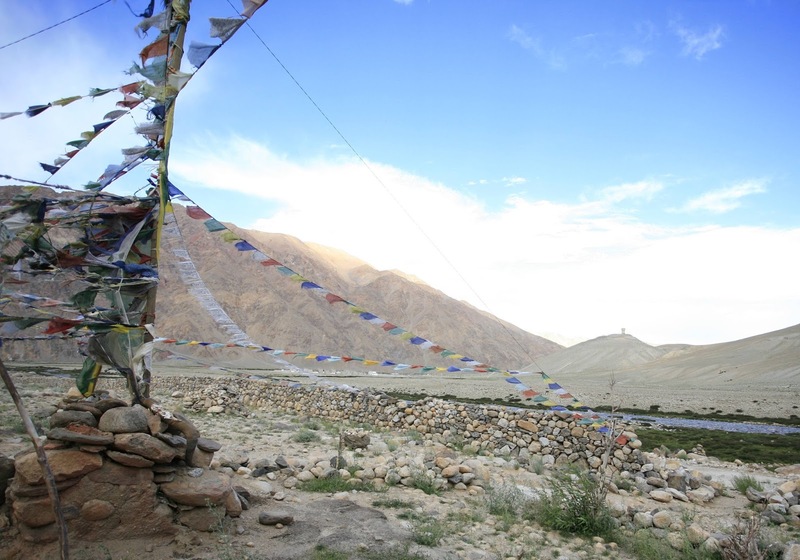 Nubra constituency in Ladakh shares its borders with both China and Pakistan. The charming valley, partially opened to tourism, is one of the most strategic spots of India’s northern borders. Last fortnight, it was in the news for quite a different reason. Mr Namgyal has a point. “Infrastructure, roads, electricity and the communications network is amazing on the other side,” he says. “The irony is that the Chinese (Army) keeps suggesting to the sarpanch in Demchok to join China rather than sitting with India. What could be more humiliating than this?” Whether it is true is difficult to say, but it certainly points to something which could become a serious problem if not tackled wisely and quickly. What has so far been the strength of the Indian position is the deep-rooted nationalism of the population living on the borders, whether in Arunachal Pradesh, Uttarakhand or Ladakh. According to Excelsior, residents of 39 households have been on dharna after the Chinese Army raised objections over villagers laying a pipeline from the hot spring to their village for drinking water. Villagers sitting around the national flag decided to set up a tent on the banks of the Demchok nallah, that marks the Sino-India border. Later a delegation led by sarpanch Rigzin Tanges gave a memorandum to the deputy commissioner in Leh. While the overall situation along the LAC with China is relatively stable, thanks to Army vigilance and regular meetings between military officials of the two sides at the two border meeting points (BMPs) at Chushul and Daulat Beg Oldie (DBO), the situation remains complex. The ritual encounters are usually marked by saluting both nations’ flags, speeches and exchanges of greetings and good wishes. This, however, doesn’t resolve the main problem, which is China’s irredentism, whether it is in the South China Sea or on the Himalayan slopes. The Chinese Army’s strategy seems to be to keep raising objections over trivial issues such as laying water pipes or building infrastructure on the Indian side of LAC, so that the matter of Demchok cannot be permanently settled. Perhaps just as critical for India is the deluge of Chinese tourists in Tibet. Last year, 20 million tourists visited the Tibetan Autonomous Region. This year, according to Lhasa’s tourism bureau, it got 176,100 tourists during the May Day holiday (April 30-May 2). Bayi, located north of the India’s Arunachal Pradesh border, got more than 174,000 tourists from January to March 2016, up by 53.23 per cent. Bayi (or “8-1”) means the area belongs to the PLA, whose anniversary falls on 8-1 (August 1). At the same time, western Tibet (opposite Ladakh) has seen a five-fold rise in visitors over a year.All this doesn’t deter the Indian government from archaic policies like an antiquated “Inner Line Permit” that dates back to the Raj and still prevails in border areas. Will this ever change? A Xinhua article explains the importance of Chinese “tourism” for India’s security. Titled “Across China: Heavenly road brings the high life to Tibetan Plateau”, it refers to National Highway 219, known in India as “the Aksai Chin road”. Xinhua says: “It is the melon season in neighbouring Xinjiang Uyghur Autonomous Region, fresh fruit is stacked up at the roadside, waiting to be ferried through the Kunlun Mountains and up to the plateau along the Xinjiang-Tibet highway.” This road not only links the two most strategic (and restive) provinces of China (Tibet and Xinjiang), but also helps tremendously to cut the cost of the PLA’s operations on the border with India. Xinhua explains: “With a safe, modern highway, transport costs from Yecheng to Ngari have fallen by 55 per cent, leading to 40 per cent cuts in the price of commodities in the Tibetan town. Better yet, the number of tourists in Ngari has surged fivefold.” In other words, China’s “India front” will get its supplies faster and cheaper. It is time for New Delhi to wake up to what is happening on the other side of the LAC. This is specially important when the two fronts facing India (Ladakh and Arunachal) have been merged by the PLA into one western theatre command, greatly improving China’s management of its borders with India. A few weeks ago, the Jammu and Kashmir government “approved” the construction of a 150-km long Chushul-Demchok road. But this proposal has now been sent to the National Board for Wildlife for clearance! And as usual in India, “final clearance” will take years, and construction will continue for decades. Will New Delhi have the foresight and the time to look into this issue, and perhaps do something about it. China, meanwhile, advances its pawns, slowly but surely.